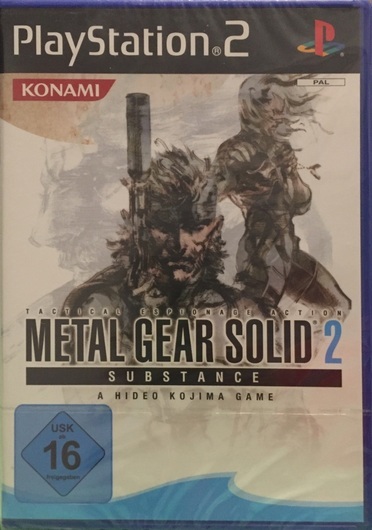 Solid Snake returns in Metal Gear Solid 2: Substance, the expanded edition of Metal Gear Solid 2: Sons of Liberty, with all-new game modes, hidden characters, and storylines. Top-secret weapons technology is being mysteriously transported under cover of an oil tanker to an unknown destination. It's up to Snake to infiltrate the transport and keep this deadly weapon of mass destruction from falling into the wrong hands. •	More than 350 VR missions and more than 150 alternate missions. •	Five all-new Snake Tales side stories. •	Hidden playable characters and new game modes. •	Contains the entire Sons of Liberty game. Features: PEGI Rating Ages 15 and over.